Hey everybody! Welcome to June! This month's challenge will be nature. This can include living things like plants, trees, or mushrooms. You can also do abiotic parts of nature, like mountains, clouds, or oceans. Please do not fold humans, even though we are technically animals. If you want to fold other animals, including bugs, please be creative about it, seeing as we already have models for pretty much every animal imaginable. 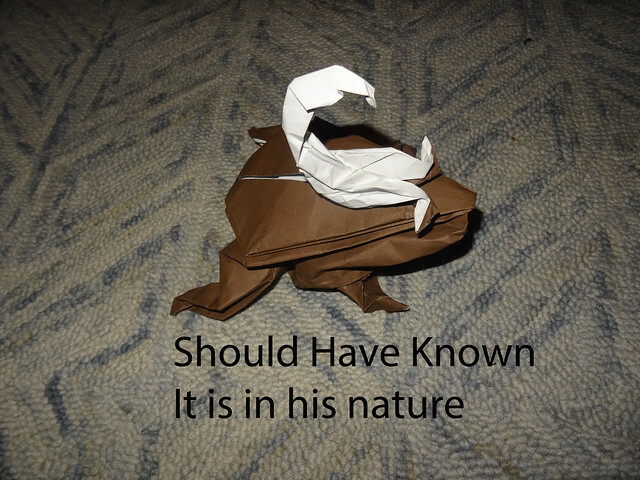 You can fold an animal in its habitat, such as a mountain goat on a rock, or an animal eating something/being eaten, or just a creative combination, such as a toad on a toadstool. Basically, don't have one animal take up the whole paper. The rules are as usual: one square sheet of paper, no tape or cuts. Mc is ok.
Hopefully, this theme is broad and you'll be inspired to fold something new. Iren Rondo will be judging. Good luck to everyone! Let's contribute something to this growing community! I've got a great idea for this one. Let's hope I can find the time in my work schedule to design and fold it. It is in His NATURE ! Here is a link to my favorite song version. The month is more than halfway over! Any more entries? It is a hermit crab inside a turret shell. I took inspiration from Disney's Fantasia 2000, specifically the final short of the film, set to Igor Stravinsky's firebird suite. I should note that the pictures included in the top corners are not actual pictures from the short, but rather another artists rendition, which just happened to best match the image I remembered from the short. Great job to everybody who took the time and effort to contribute to our community this month! Iren, have you chosen a winner yet? Make sure you start the July challenge as well. I'm so sorry! I was out of city so I could not get Wi-Fi anywhere! Please forgive me everyone for the tortures of waiting. I apologize to everyone who competed this month's challenge. 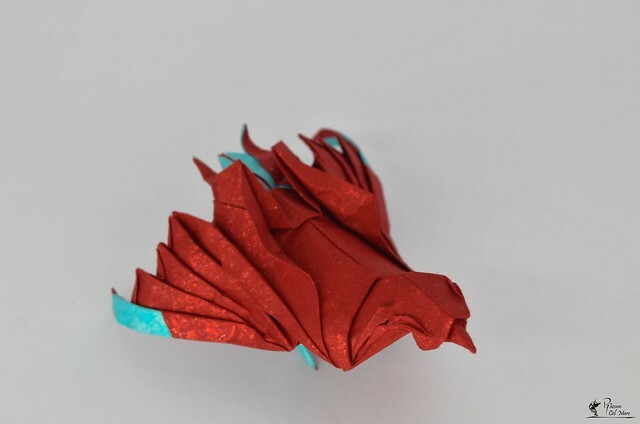 Well, five great origamists designed their own models and this is a good result. Superb work! Unfortunately, I should choose the only winner though I would like to give to everyone special prizes. Your work is amazing! Your design includes an interesting color change. 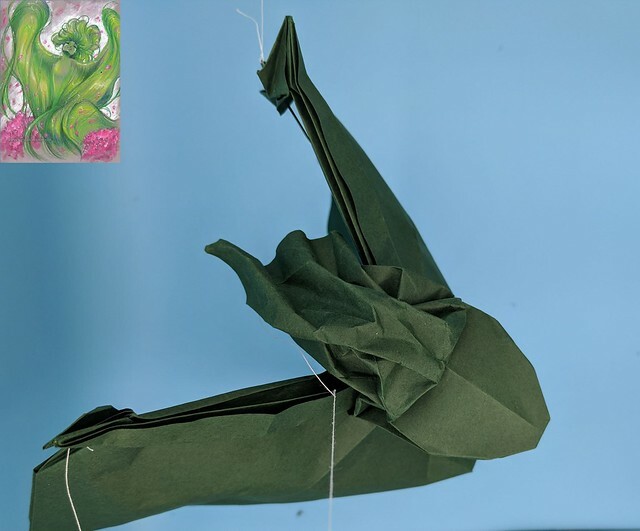 Also, you chose just a beautiful paper and folded yor model very realistic. Bravo! I want to mention firstfold for your unusual idea. 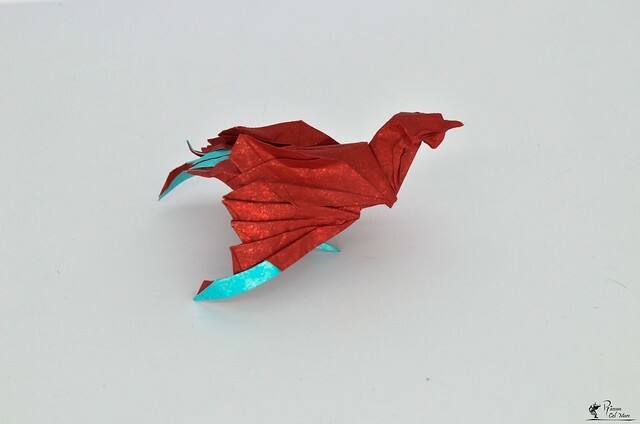 I want to mention Origamitrieste for your elegant design and fold. 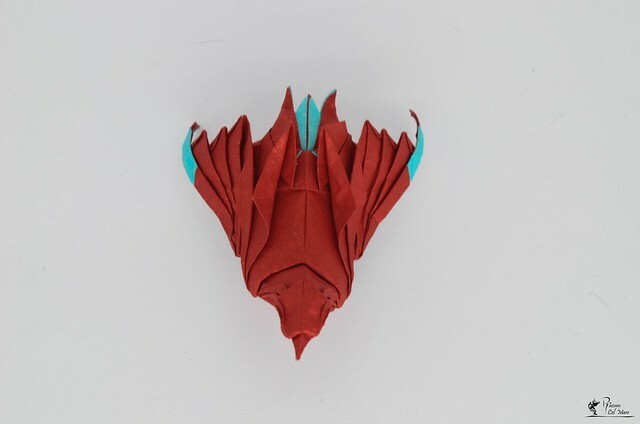 I want to mention CassiusAuratus7 for your good minimalistic sculpture. I want to highlight Tony Koppers. Your idea is the best! I really adore these experimental designs though you really need to improve your shaping. Please keep on examining your own ideas and forms. You need to design your works more graceful and someday you will win! Good luck! Sorry again for my tardiness. I hope you will not be mad at me because I understand my duties and my fault. This will not happen again. Thanks to everyone for your works! Răzvan Cel Mare will judge July's month challenge and choose August's month challenge topic. Iren Rondo wrote: I want to highlight Tony Koppers. Your idea is the best! I really adore these experimental designs though you really need to improve your shaping. Please keep on examining your own ideas and forms. You need to design your works more graceful and someday you will win! Good luck! In all seriousness though, thanks for the advice! 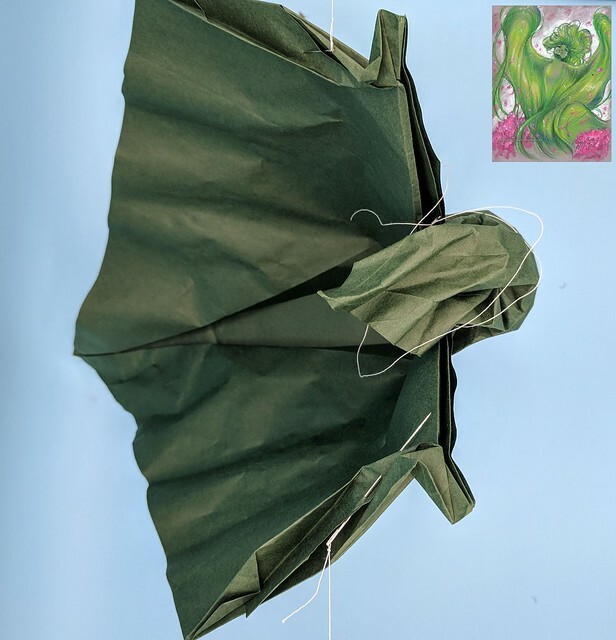 The folding was sort of a rushed job and I could not figure out how to photograph the model. Not sure if either of those mitigate the problem, but oh well... Please continue to be brutally honest in the future! Lastly, nice job all, and good luck next month! Congratulations Ravzan! Good job to everyone! NeverCeaseToCrease wrote: Basically, don't have one animal take up the whole paper. I just thought it was important in relation to the winning model. That was my first time entering the monthly design challenge didn't expect to win. Iren Rondo wrote: Your work is amazing! Your design includes an interesting color change. 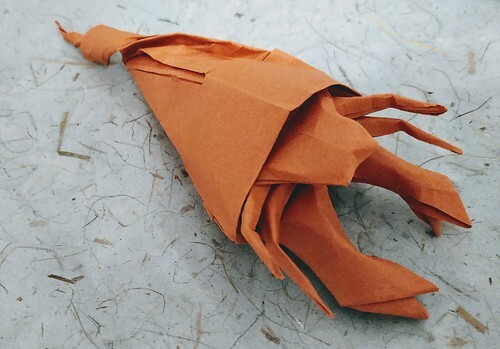 Also, you chose just a beautiful paper and folded yor model very realistic. Bravo! Tony Koppers wrote: Congrats Ravzan! And thank you NeverCeaseToCrease for clarifying that. Good job everyone, nice models. Hope to see you in the July challenge too Good luck!